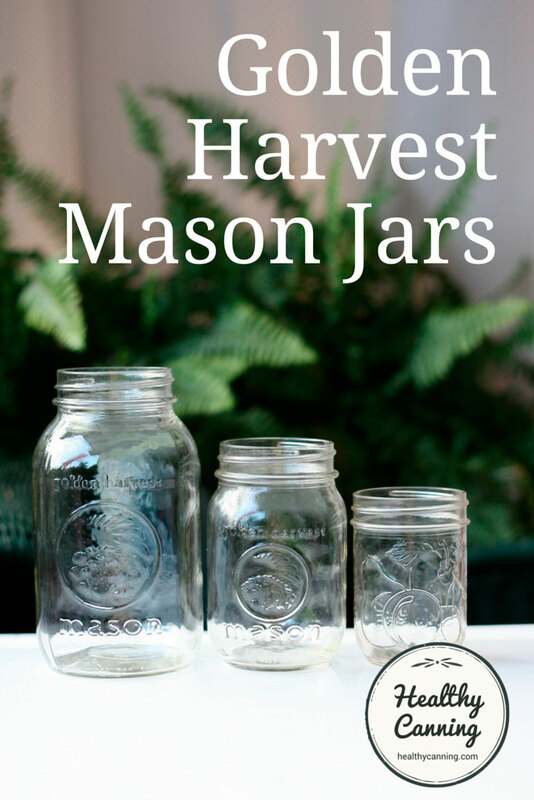 Golden Harvest brand Mason jars for home canning are a lower-priced line of Mason jars sold by the Newell Corporation, which also owns Ball, Bernardin and Kerr jars. 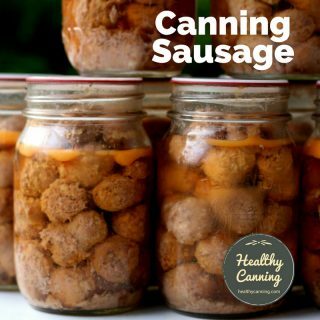 The jars are sold in Canada and the U.S. The Golden Harvest jars are considered of quite good quality by most people. 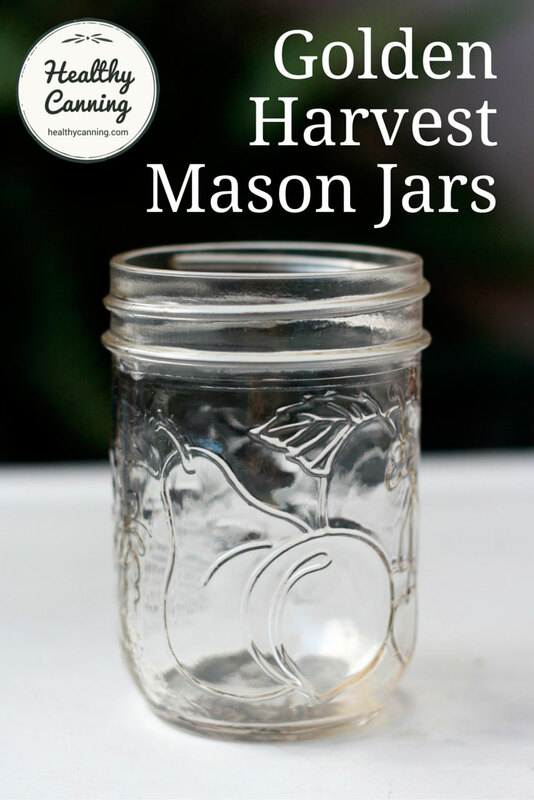 What sizes do Golden Harvest Mason jars come in? 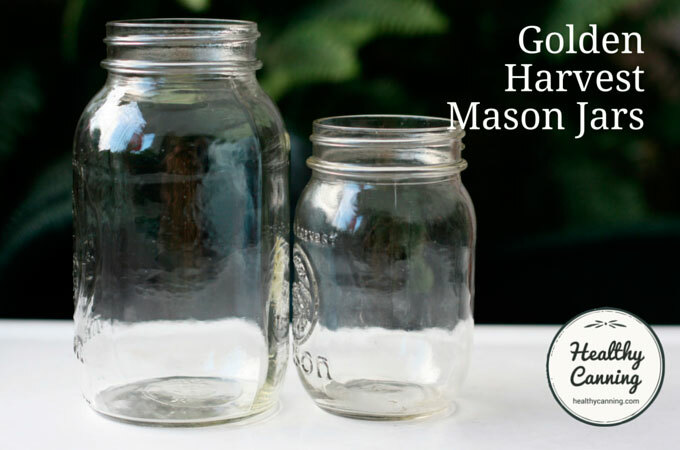 Why are Golden Harvest mason jars larger? 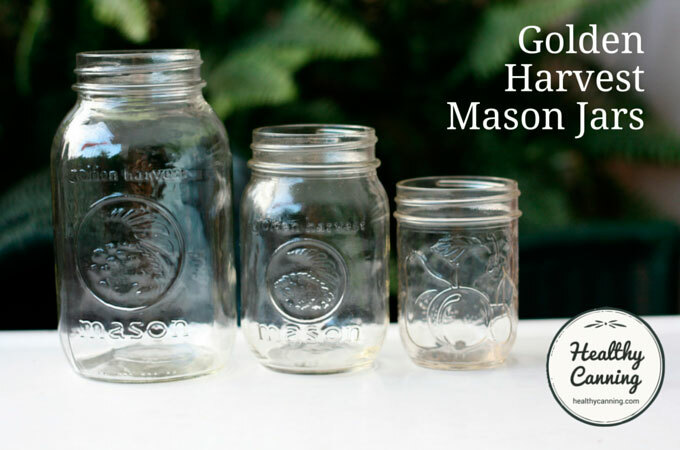 Golden Harvest Mason jars are made in metric sizes of 1 litre, 1/2 litre (500 ml) and 1/4 litre (250 ml). 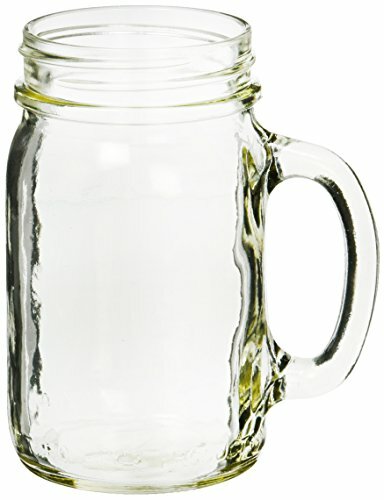 The 1/4 litre ( 1/2 pint / 250 ml ) size is straight-sided; the other two are shouldered-jars. 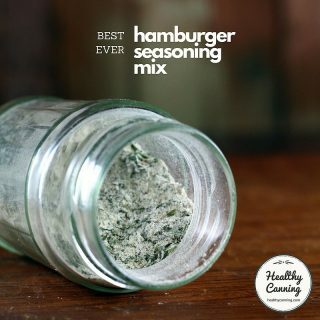 All three have regular width mouths, and will work with regular-mouth Mason jar lids from all manufacturers, including Tattler. In Canada, the boxes for the jars are labelled as what they are — metric sizes. In the States, the boxes are labelled as 1 quart, 1 pint and 1/2 pint jars, but really, they are ‘metric quarts’ and ‘metric pints’ and thus a little bit larger than the old-style US quarts and pints. 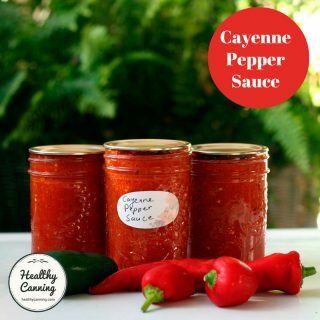 In some less-expensive steam canners (models that are a shallow pot accompanied by a tall cover), some people are reporting that only 6 of these Golden Harvest ‘metric quart’ jars will fit in, whereas 7 of the ‘US quart’ ones would. 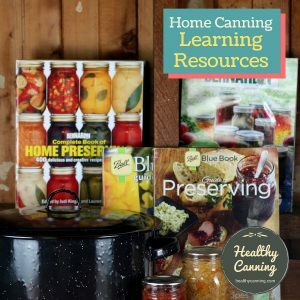 In a Presto pressure canner, only 9 of the Golden Harvest ‘metric pint’ jars will fit in, as opposed to 10 of the ‘US pint’ jars you may have on hand. 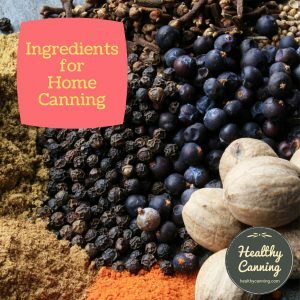 The 10th ‘metric pint’ jar just will not fit in a Presto canner. 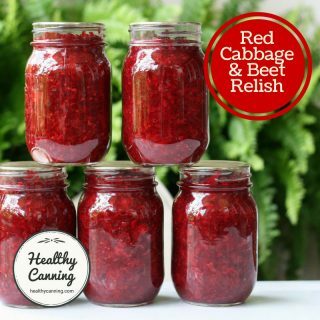 In compensation, remember that this is because the jars are a bit larger, so you can put a bit more in each jar. 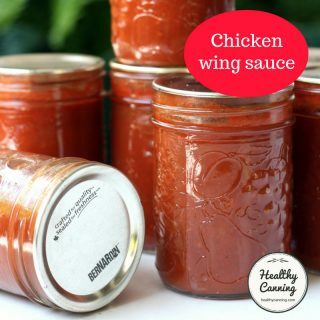 Many people say they like the Golden Harvest jars because all the writing / embossing is on the front, leaving the 3 sides free for easy labelling. 3 of the sides are blank, only 1 side is embossed. 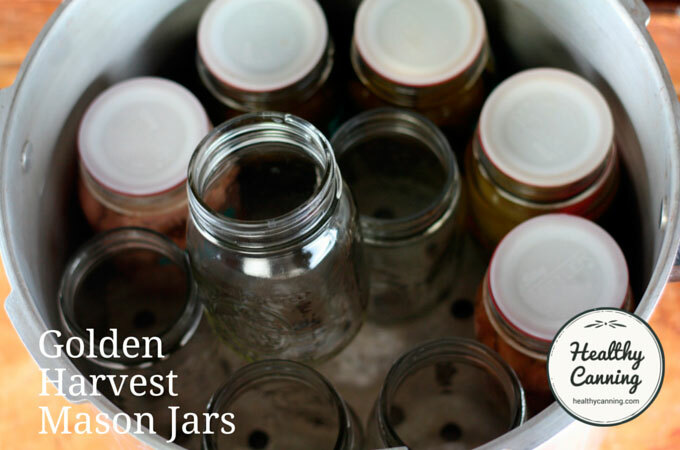 There are no wide-mouth jars in the Golden Harvest product line. That being said, that’s not true of their 1/4 litre (1/2 US pint / 250 ml) size jar. These jars don’t have the Golden Harvest logo on them, and, there’s no surface that is unembossed, making affixing a label a bit more of a challenge. But they do have a beautiful fruit pattern. 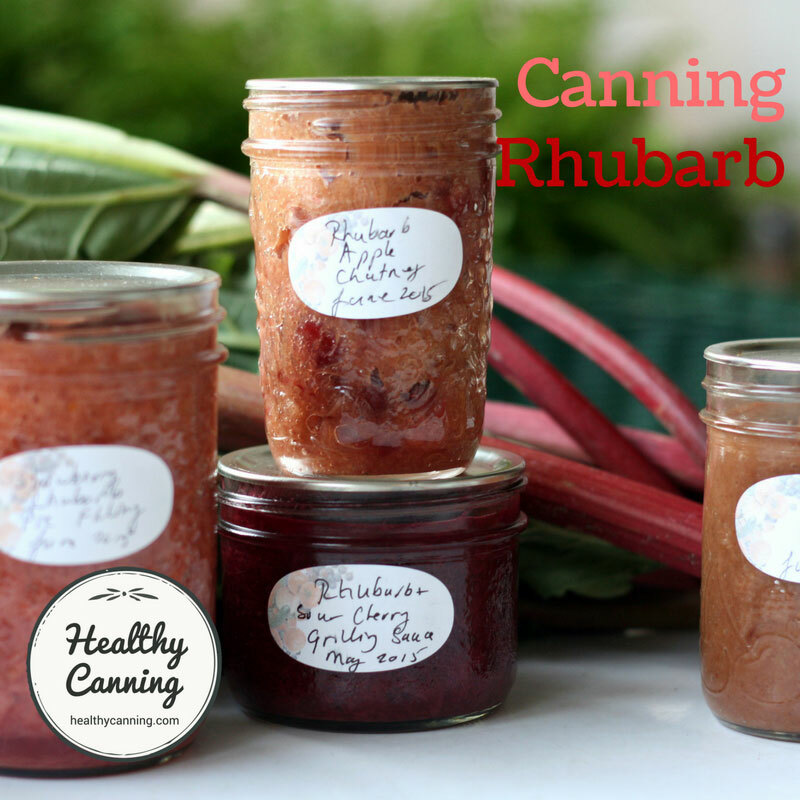 And, these sturdy jars are straight-sided, making them safe for freezing in. 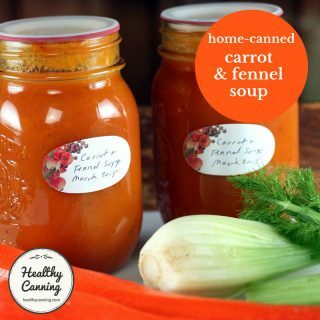 These 1/4 litre / 1/2 pint are a very nice size for products such as jams and jellies, and single-serving portions of pressure-canned items such as baked beans, chili and sloppy joes. 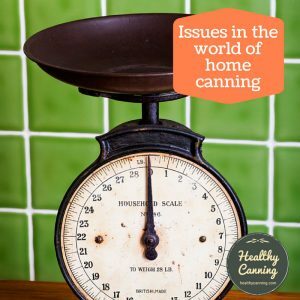 They are also a nice size for pressure canning things such as mushrooms in, as they replicate the size of a standard tin of mushrooms. 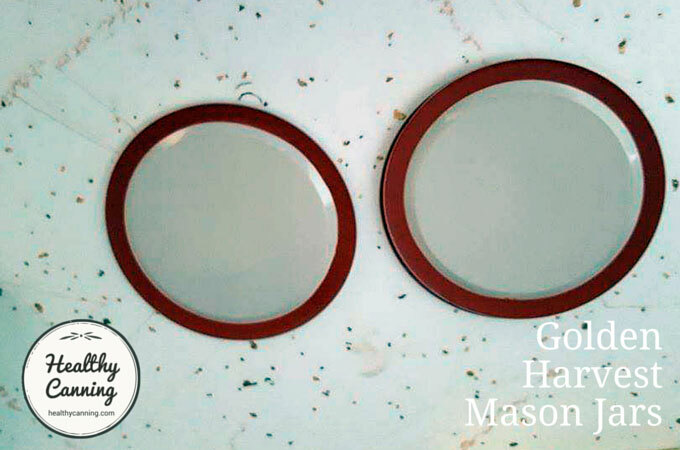 You can also buy decorative ‘Mason jar’ salt and pepper shakers in the Golden Harvest line. 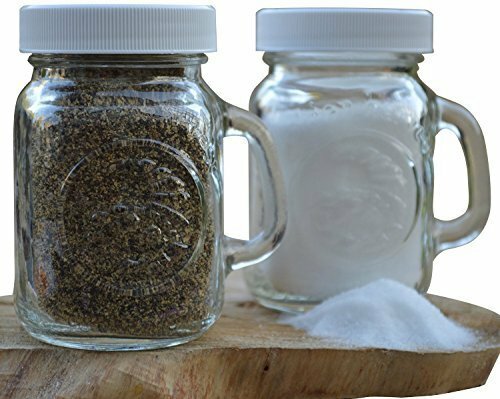 They are mini, 4 oz (125 ml) Mason jars, with a glass handle, and plastic lids with holes in the top for salt and pepper to pass through. 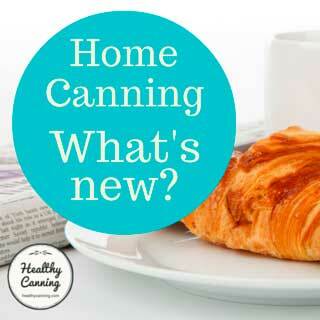 Only the quarter-litre (half-pint / 250 ml / 8 oz) size of Golden Harvest would be recommended for freezing in. 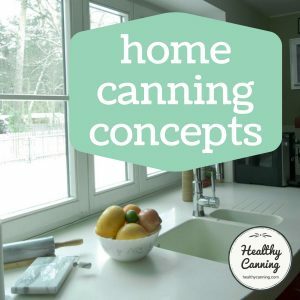 The reason is that it has straight-sides, while the others have shoulders that could cause those jars to explode in the freezer. 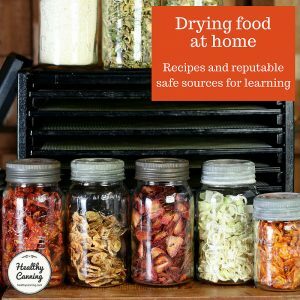 Here’s the recommendation about freezing in Mason jars. You can think of Golden Harvest jars as being ‘metric quarts’ and ‘metric pints.’ A US pint is 473 ml; a ‘metric pint’ (1/2 litre) is 500 ml. That makes these Golden Harvest ‘metric quart’ and ‘metric pint’ jars just slightly larger than older US quart and pint jars. For instance, the ‘metric pint’ (500 ml) is larger by about 2 tablespoons more; the ‘metric quart’ (litre) is larger by about 4 tablespoons more. Does this affect processing times? No reputable source that we know of has ever addressed the question as of spring 2018. Each box of Golden Harvest jars purchased comes with a free initial lid for each jar. 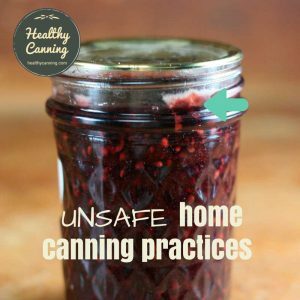 Like all metal Mason jar lids, the lids are single-use only. 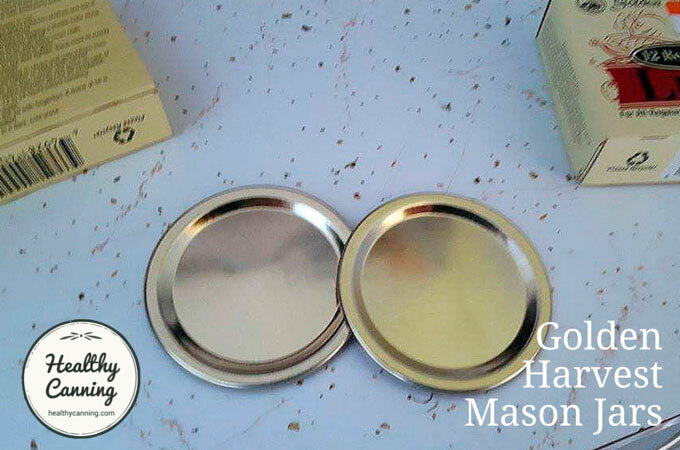 Golden Harvest branded regular-mouth lids are also sold separately, the same as come on the jars. The lids are gold on the top. On the undersides, some shipments have been enamelled, some have had clear lacquer on them. 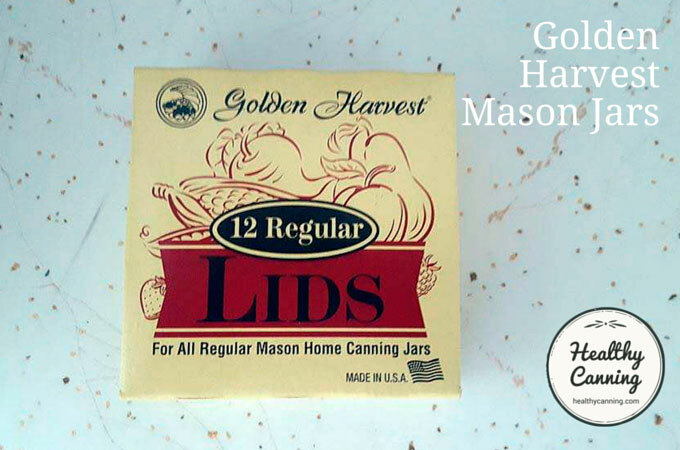 To confirm, you do not have to buy Golden Harvest lids: the jars will work with regular-mouth Mason jar lids from all manufacturers, including Tattler. It’s unclear why Newell, the owner of Golden Harvest, makes it hard to find how to get customer support. A Golden Harvest pint / 1/2 litre jar, circa 2015. 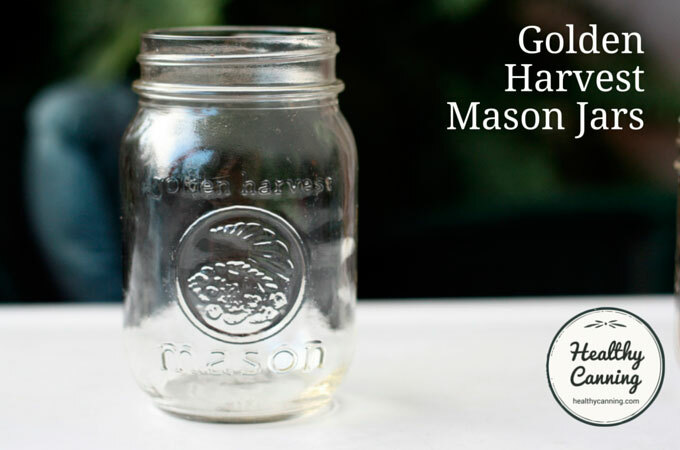 Golden Harvest jars first appeared on the market in 1975 being made by Glass Containers Corp. in Fullerton, California, under the name “Golden Harvest.” They were rounded-square in shape. In 1980, they released a limited promotional edition with PEPSI embossed on the back. Glass Containers Corp. was a subdivision (since 1967) of an umbrella corporation named Norton, Inc.
From 1983 onward (when Norton was bought out) they were produced by a series of successor companies all born from mergers and acquisitions. From 1983 to 1985, they were produced by the Container General Corp., from 1985 to 1987 by the Diamond-Bathurst Corp., from 1987 to 2012 by the Anchor Glass Container Corp., and from approximately then onward they were made in factories owned by Ardagh Glass after Ardagh bought out Anchor in August 2012. Bill Lockhart, Beau Schriever, Carol Serr, and Bill Lindsey. Glass Containers Corp. and Its Successors. Page 394. Last revised 5 November 2015. By 1998, they were being marketed by what is now the Newell (previously Jarden) company, and have been since. 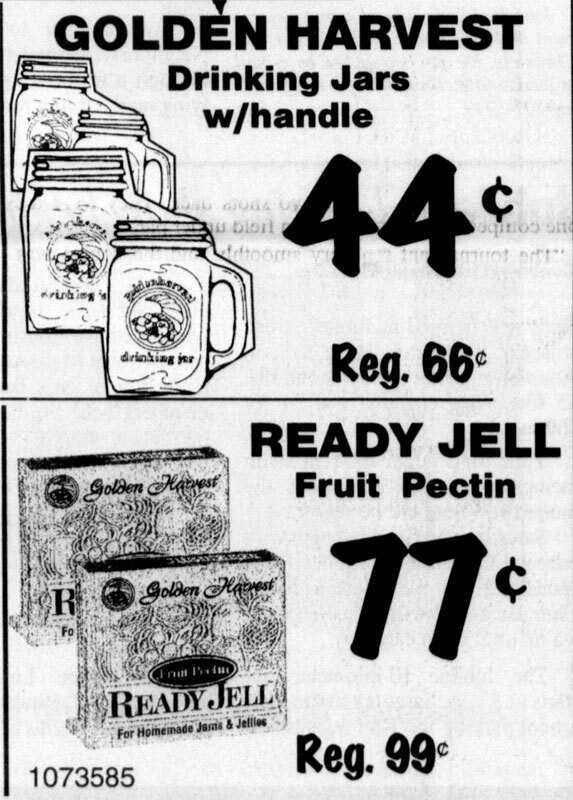 At the end of the 1990s, pectin was being sold as well under the Golden Harvest name, as well as drinking mugs. 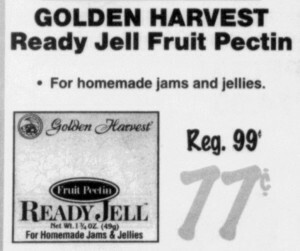 Golden Harvest Pectin. Ad in The Chronicle, Centralia, Washington. 22 June 1999. Page SB-8. Sunbird Store Ad in The Chronicle, Centralia, Washington. 28 August 2000. Page A-12. In Canada, around 2003, Golden Harvest were being sold as part of the Bernardin line-up. Now, they are sold completely as their own brand. Golden Harvest jars being sold branded as Bernardin. 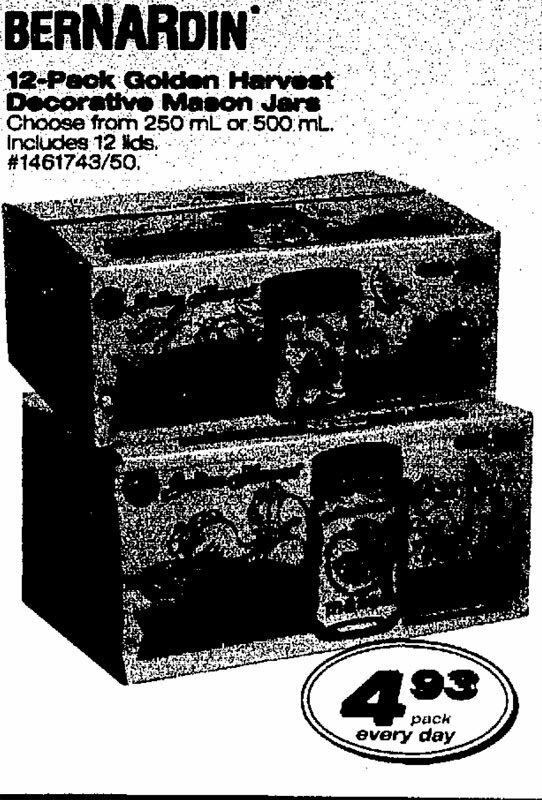 Walmart ad in Winnipeg Free Press, 20 June 2003. 1. ↑ Bill Lockhart, Beau Schriever, Carol Serr, and Bill Lindsey. Glass Containers Corp. and Its Successors. Page 394. Last revised 5 November 2015.